VIRGINIA "GINNY" BRADY 1929-2004 The world lost a very special person when Virginia Brady - a loving compassionate wife, mother, sister and friend - passed away on October 27, 2004. She was surrounded by her family and those who loved her deeply. Her life began on June 3, 1929 as Virginia Stewart in Corpus Christi, Texas. Ginny met and quickly fell in love with a young naval cadet, Eugene Ralph Brady. She spent 54 years married to Gene. Together they had six children in seven and a half years. As a military family, the Bradys traveled extensively throughout the United States as well as Japan, Korea. Virginia's guidance and good spirits got the family through tough times and her love made everyone around her stronger. Nothing brought Ginny more joy than hearing news of her family and delighting in their company. Virginia especially enjoyed having everyone over, cooking up a pot roast and sharing dinner conversation with family and friends. Ginny would tell stories, laugh, and share news of others. Her quick wit and charming sense of humor made it an absolute joy to (as she would say) "sit and visit". During Viet Nam, Col. Brady, as Commanding Officer, developed a close bond with the officers and men of helicopter squadron HMM-364, the "Purple Foxes". This bond of brothers grew closer as years progressed with the help of Virginia whose efforts contributed greatly to keep these former marines together. 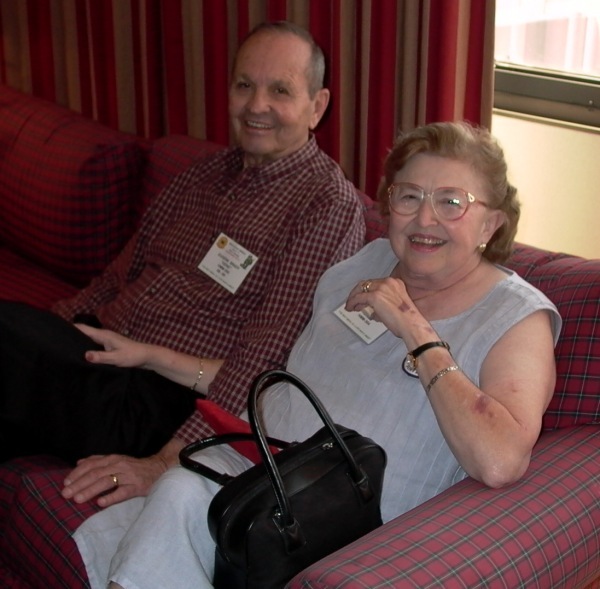 Col. Brady is affectionately known as "Papa Fox" and Virginia was known as "Mama Fox". She loved this role with heart felt sincerity. Her "behind-the-scene" efforts will not be forgotten. "Mama Fox" will be truly missed by all the Purple Foxes she mothered while they were away from home. In addition to raising a family, Virginia took pride in her accomplishments outside the home. She was both a legal and executive secretary and a business woman. As a small jewelry and gift shop owner she was able to revisit the Far East several times. Everywhere Virginia went, she brought a sense of selfless love and kindness. This was especially evident in Ginny's sober membership in Alcoholic Anonymous for 31 years. During that time Ginny helped countless alcoholics find the gift of happiness that she had found through sobriety. The family gathered together last Friday at a quiet park in Irvine to say their final good byes. It was a beautiful fall afternoon and stories and memories were shared about a wonderful lady. She is survived by her loving husband Gene, her brothers Tom, George and Chuck, her six children, Janet, Eugene Jr., Jennifer, Jeff, Greg, and James, and 13 grandchildren. In lieu of flowers, the family asks that the donations be made to Pacific Wildlife Project, P.O. Box 7673 Laguna Niguel, CA 92607 or by clicking the Make a Donation button below.